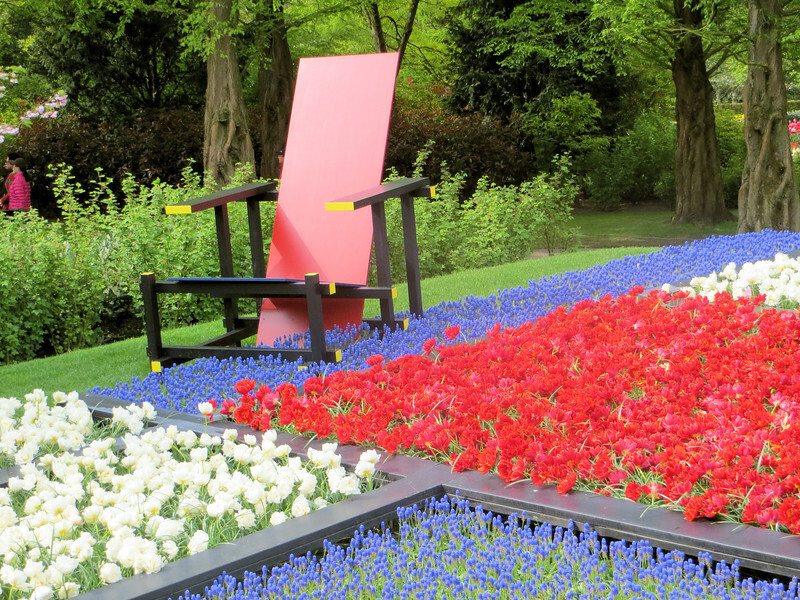 The Keukenhof Gardens are, quite simply, amazing. They are only open for two months each year (this year from March 23 to May 21) and they are all about tulips. Yes, there are other flowers on display but the main attraction is the 7 million tulips that are planted there every year. About 1.5 million visitors come here annually. Our tour leader said, cynically, that Keukenhof has only one purpose, and that is selling tulips. That may be true but when you are here you are only thinking about the gorgeous displays. I don't think you could take a bad picture here. Alas, due to constraints I won't describe here, I only got to see a small portion of the gardens, but it was wonderful.